With a successful career, which combines advertising and academia, Jim works as a Creative Director at McGraw-Hill Education. McGraw-Hill Education partners around the world with students, educators, administrators and other professionals to deliver engaging, adaptive and personalized learning solutions that improve performance and results. In his previous position as Creative Director for the Columbus College of Art & Design and their new MindMarket enterprise, he helped corporations, small businesses and non-profit organizations engage CCAD's top talent to solve product, branding, fashion, interior and advertising design challenges. He also served as Assistant Professor and taught a senior level course in advanced branding concepts. Jim is particularly interested in how technological innovations are shaping the future of higher education in the creative fields. He came to the Berlin School of Creative leadership to build on his vision of adequate educational tools and methodologies for an age of rapid information dissemination. "While higher education has traditionally held a manufacturing mindset to creating degrees, it will thrive and remain relevant only if it prioritizes the empowerment of creativity in people of all ages. As advancements in technology make long-term careers obsolete, the ability to "learn how to learn" becomes the most valuable currency we can provide our graduates." 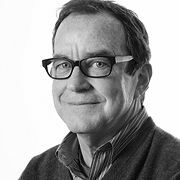 Before assuming his role at CCAD, Jim held various executive positions in the global advertising industry, including Executive Creative Director at Stonefly Communications Group and SVP Global Creative Director, Group CD at Grey Worldwide in New York. He obtained a BFA in Fine Arts and Painting from Louisiana State University.